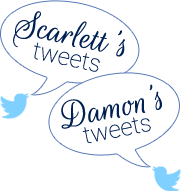 The Pourciau Family is made up of Damon, a.k.a. "Daddy," Scarlett, a.k.a. "Mommy," Stella, Cille, Watts, and Corinne. Our story together began in the fall of 1998 when we attended college and began dating. Damon popped the question in May of 2000 on the beach in Cancun, Mexico. We wed under an oak tree at Greenwood Plantation in St. Francisville in April of 2001. Where else can a girl named Scarlett get married? In the summer of 2004 we moved to LaPlace, Louisiana, in order for Damon to attend law school at LSU. In LaPlace, we found a church family at First Baptist Church of LaPlace. We had the chance to travel Europe together during the summer of 2005 when Damon took classes in Lyon, France. From white water rafting in a frigid river in Switzerland, to running with the bulls in Pamplona, to visiting the Colosseum in Rome, it was truly the trip of a lifetime. When we returned home, Scarlett began her teaching career and completed a marathon in February of 2006. We took up adventure racing as a family hobby and enjoyed lots of road tripping, bushwhacking, kayaking, and mountain biking with friends. After practicing in downtown New Orleans for a few years, Damon moved to a new firm that allowed him to be closer to home and work with an adventure racing buddy. 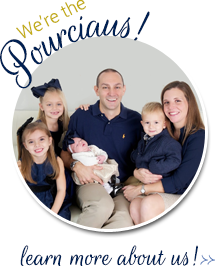 On January 1, 2012, we took a leap of faith and opened Pourciau Law Firm. In May of 2012 our family moved to Baton Rouge. After almost seven years of marriage and lots of prayer, we finally decided we were ready for life's next big adventure. Stella Rayne joined us on March 26, 2008, weighing in at 8 pounds and 12 ounces. It was the end of the world as we knew it and the dawning of a new life together that is even more spectacular than we could have ever dreamed. Our family grew again on June 23, 2010, when Cille Beck made her debut, weighing in at 7 pounds and 14 ounces. Our third child, but first son, was born on August 7, 2012. Watts Ray was 8 pounds and 10 ounces. 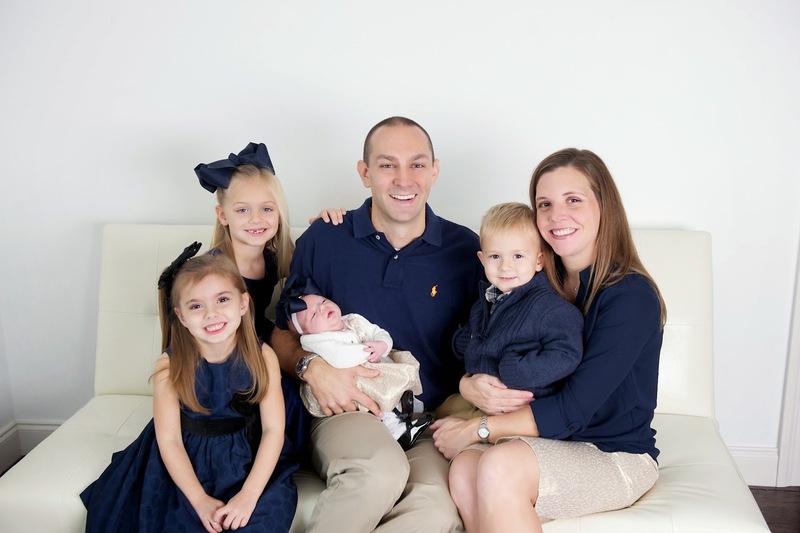 Our family was completed by Corinne Ruth who joined us on November 13, 2014, at 7 pounds and 13 ounces.